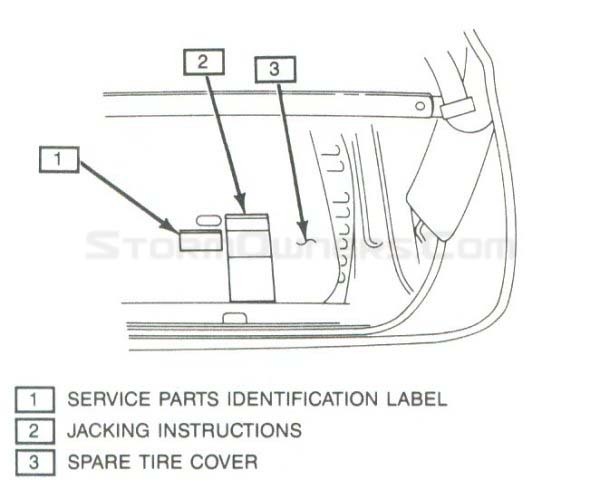 The Service Parts Identification Label contains a list of the equipment options as installed on the vehicle when it left the factory. This information can be valuable when ordering replacement parts which vary from vehicle to vehicle, based on which options the vehicle was originally equipped with. 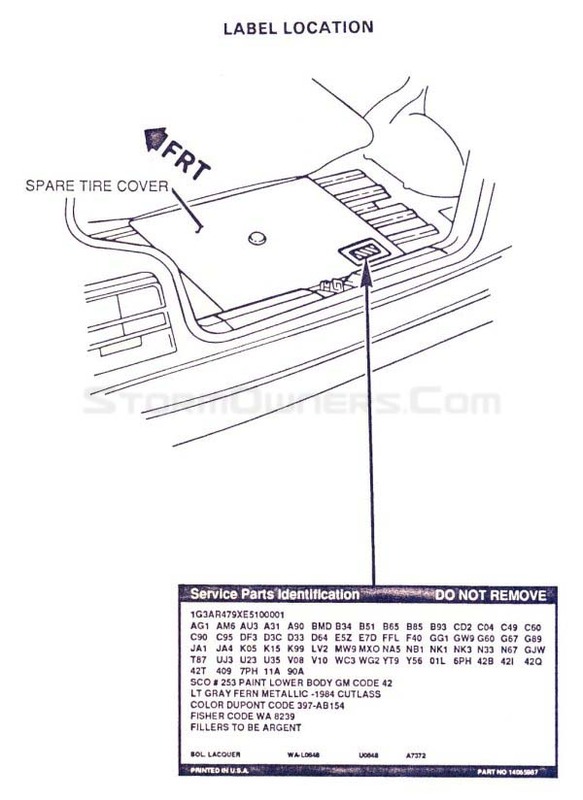 The Service Parts Identification Label for the Geo Storm is located on the spare tire cover, beneath the trunk carpetting. The factory was less than diligent in making sure that these labels contained every single option equipped on the vehicles, so do not be surprised if the list on the label lacks several, or many, of the items that the vehicle was originally equipped with. 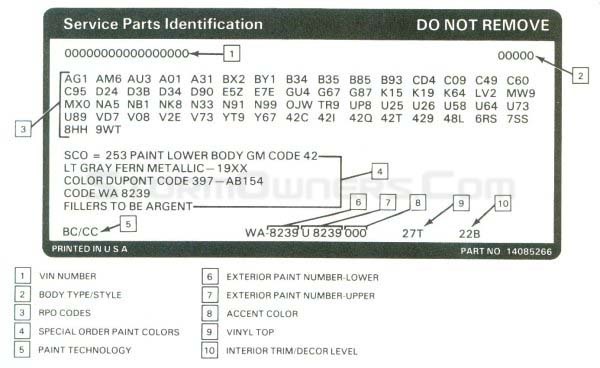 NOTE: Items marked "Canada" or "RX" indicate Asuna Sunfire model, distributed in Canada and handled by GM alongside the Geo Storm. NOTE: Some option codes appear to be standardized GM options for items that never appeared on the Geo Storm. 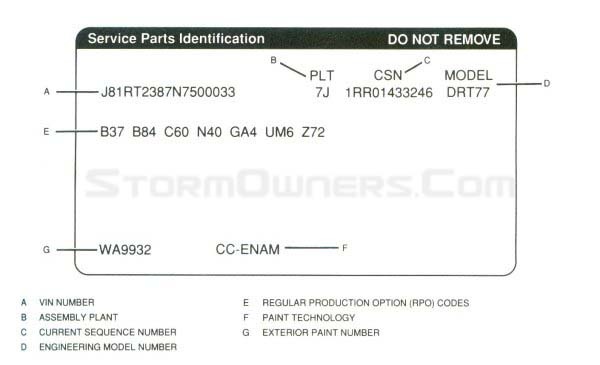 These codes may have been included as an indication of possible options planned, but never implimented.
. © 2010-2014 StormOwners.Com. All Rights Reserved.